Hey y'all! I have eaten everything in sight for nearly a week so I've been in a shame spiral chamber, scared to come out. 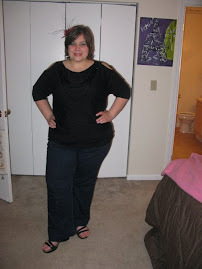 I am stepping out boldly today in an attempt to not eat too much (again) but I'm scared. Luckily, I have a million things to do today to distract me. I'm not sure why but I have been craving carbs more than ever and my attitude has been terrible. Because of that, I was up almost 3 pounds on the scale today. I knew it was coming. I could see it in my belly and frankly, I deserved it. I've been playing with fire the past few weekends and I took it over the top and let it leak into Monday and Tuesday. It didn't help that I had a huge dinner last night. The trouble is that I can usually somewhat snap back into reality but it's going to be a challenge this weekend as I am engaging in wedding and Halloween festivities. My goal is to treat myself but keep it mostly in check. Yikes. Holiday season is upon us and the waves of temptation only get worse from here. Hold on tight, y'all. It's going to be a rough road until January. My post today is primarily to show you how I prepared my zucchini last night. 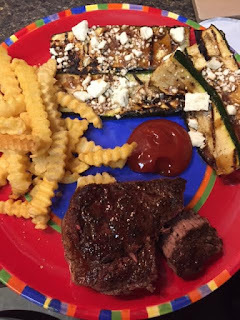 I also wanted to show off the porterhouse steak Ian and I had. Fresh Market has great deals on steak from time to time and sometimes, you can get a big ol porterhouse for pretty cheap and Ian and I share it. 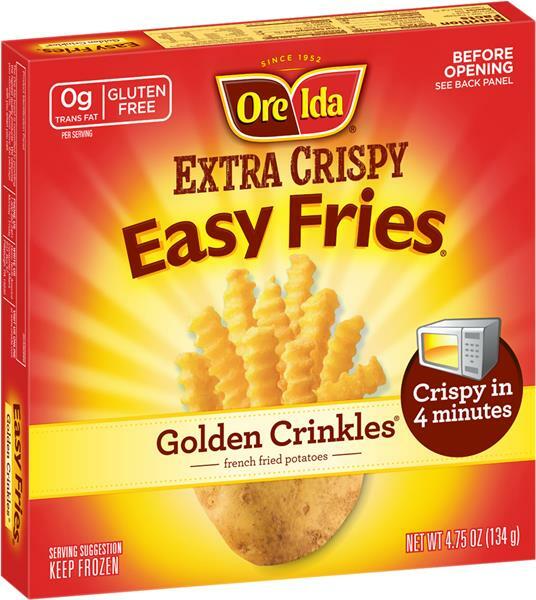 I also paired the steak with these Ore-Ida Crinkle Microwave Fries that my mom told me about. 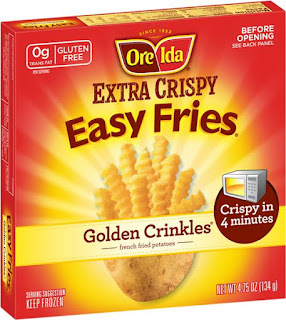 They are a nice serving and pretty tasty (though "crispy" may be a stretch). It made for a quick side dish that wasn't fried but the container did melt/stick to the microwave which was weird. 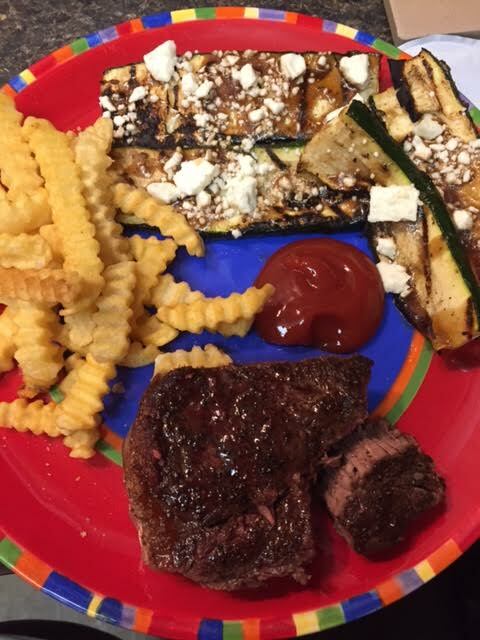 Last night was a little backwards as the steak went in the oven and the zucchini went on the grill but the porterhouse tasted great in the cast iron. 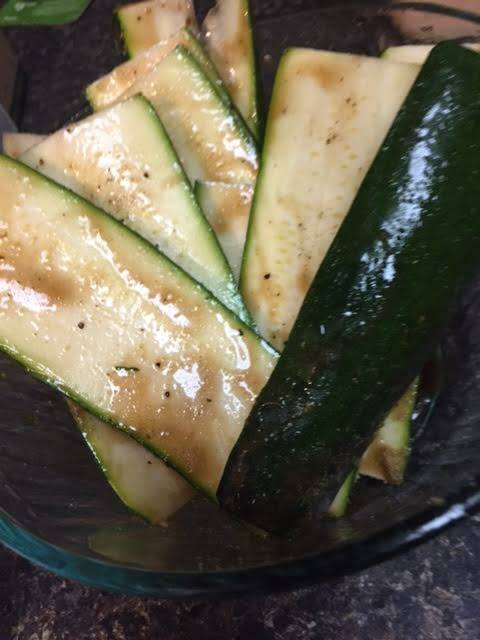 All I did to prepare the zucchini was cut it into slices lengthwise (I like to call them planks), marinate them in balsamic vinegar about 20 minutes (while the steak was defrosting/being prepared) and then plopped them on the grill. They went a few minutes on each side. 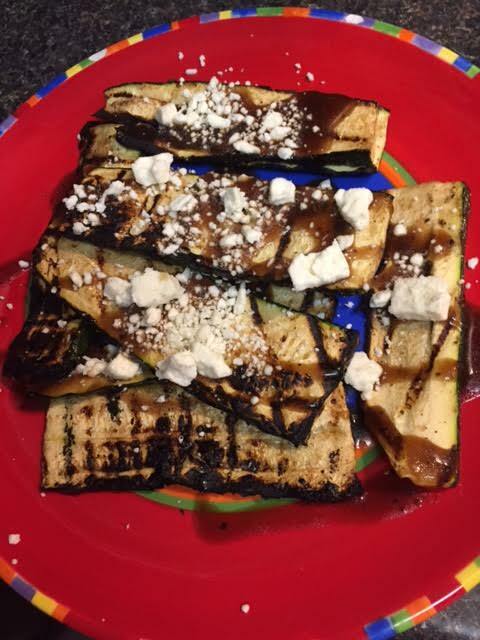 When I got them off the grill, I drizzled a bit more balsamic on top and added some reduced fat feta. I have to admit, I've had zucchini a lot of ways but I think this was my favorite. 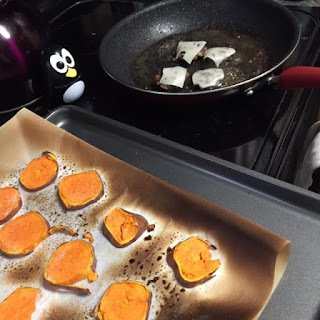 It was easy and flavorful. 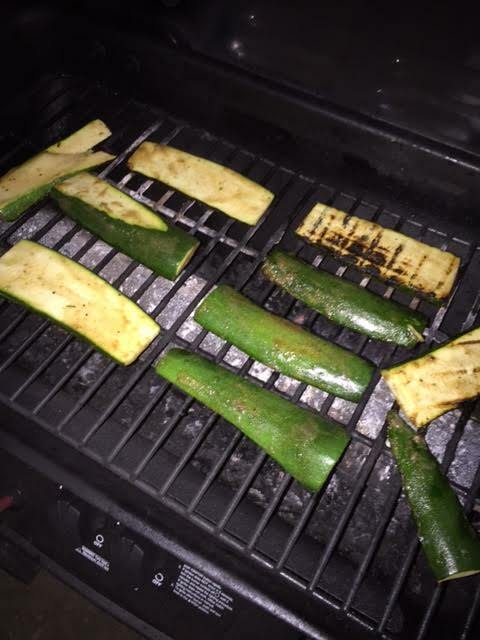 I am one to believe that that char from the grill makes everything taste better. That's all I have for this week. I am sure I will have spooky dieting and halloween stories next week. Hey y'all! I wanted to thank everyone who subscribed last week. I saw an influx of followers and I really appreciated it! I have also created new social media accounts. I will share all of them on social media but for Facebook, just type in My Life Without Ranch. Twitter: MyLifeWOutRanch Instagram: mylifewithoutranch. I hate to keep asking you for things but as soon as you can, please hit me up on these sites. I'm hoping to have a completed manuscript by fall of 2017. So, wish me luck! I didn't have any change on the scale this week, which was a blessing, believe me. I have been taking things in stride over the past week and I hope that continues. This week, I wanted to share my simple lettuce roll ups. I'm so sick of salads. 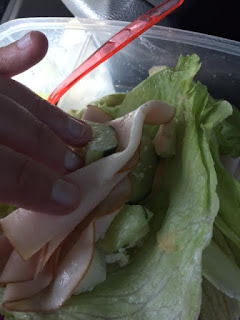 I know it seems like a lettuce roll up is a glorified salad and truthfully, it is but for some reason, having my salad in a different format has helped the monotony. 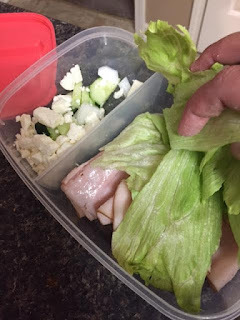 All I do is use iceberg or romaine lettuce leaves (because they are the biggest and have the best rolling potential) and pack whatever I want to stuff in it. 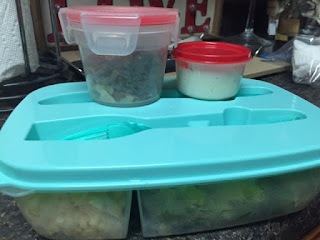 I opt for easy things to go in my lunch box. 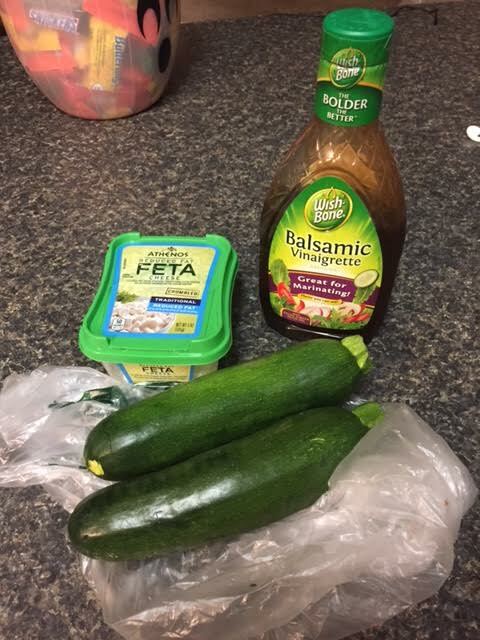 I have been putting deli meat in my container along with reduced fat feta cheese and cucumbers. I always think that adding extra steps, like rolling your own tiny lettuce sandwiches helps you get full faster. I don't think that's exact science but it works for me. 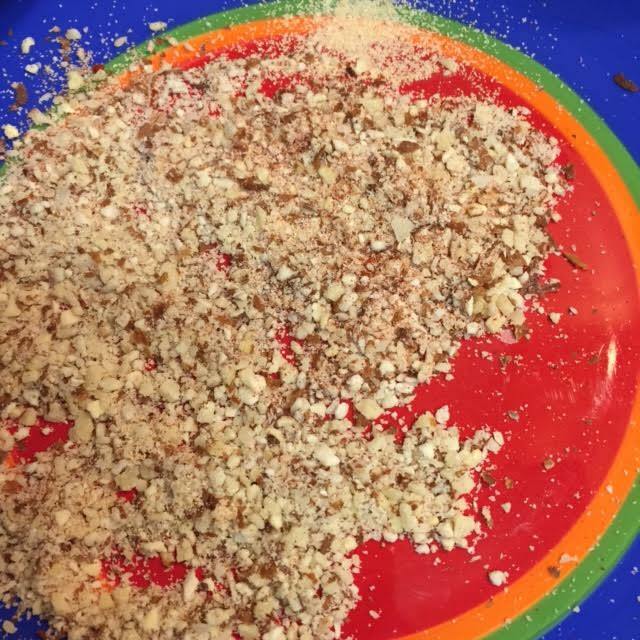 Anyway, it's a way to make your salad less boring. 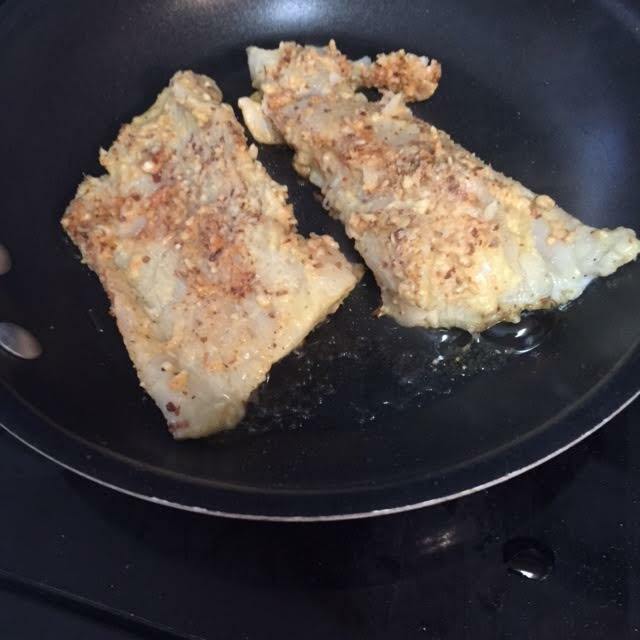 The main dish today is almond-crusted fish. 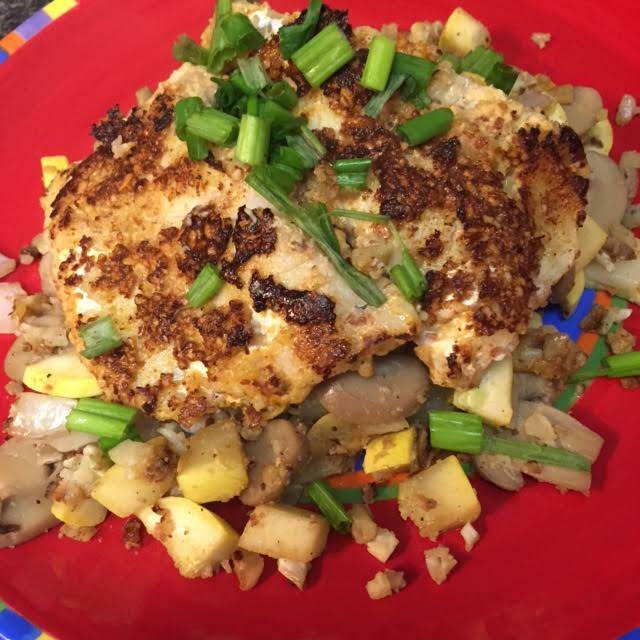 This is a Pinterest inspired recipe. 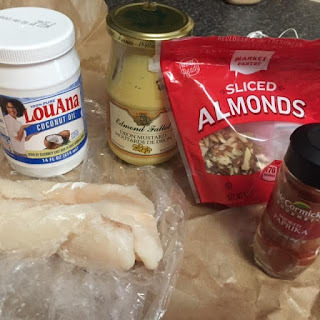 I used cod from Fresh Market because it was on sale but I feel like you could use any white fish. 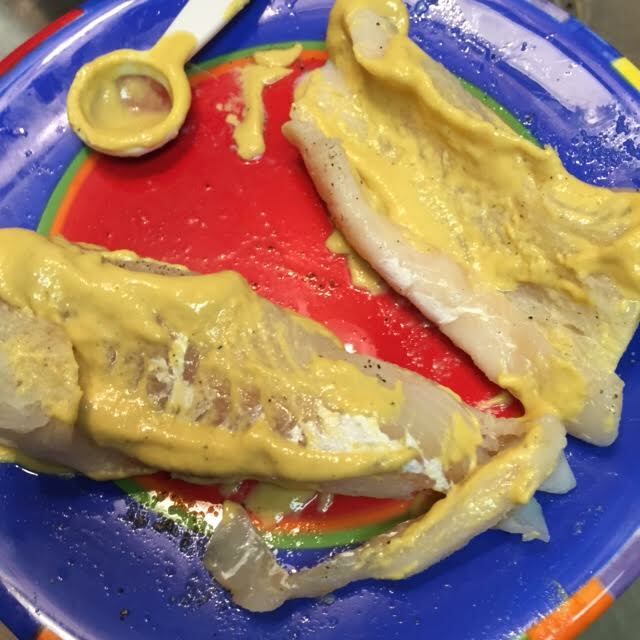 All you do is season the fish with salt, pepper and smoked paprika, then you cover it in dijon mustard. For me, I love the kind of dijon that makes your nose burn and your eyes water but you may want to use a milder mustard. Then, you dunk the fish in crushed up almonds. 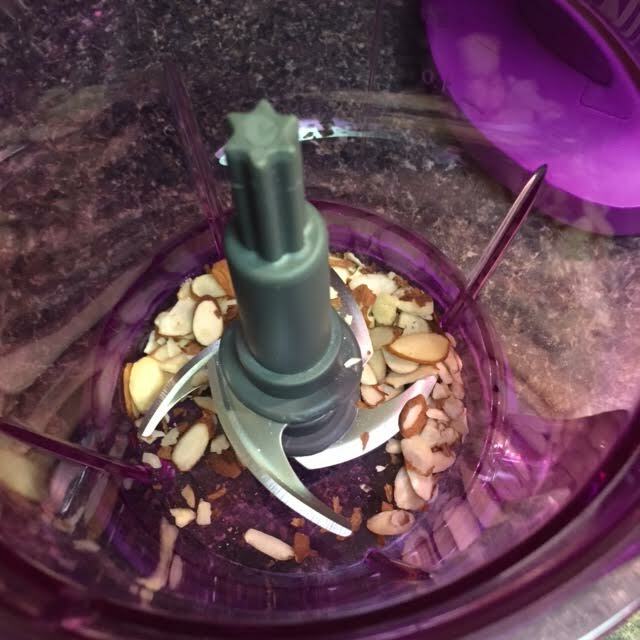 I used my brand new Ninja food processor which made the whole process extremely easy. Once that's done, just plop them in a warm skillet that has melted coconut oil. 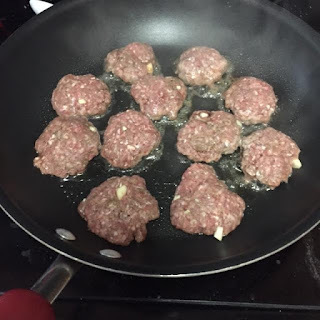 They only need a few minutes at medium heat on each side. I placed the fish on top of cauliflower "rice" that I sautéed with squash, garlic and onions. As always, I added fresh green onion to the top. This was delicious! I loved the flavor of the dijon and smoked paprika. It added an extra kick to the flavors I'm used to. 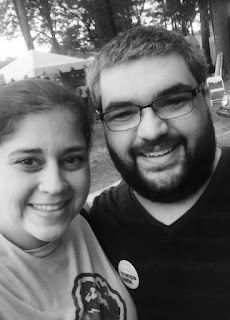 Jordan and I went to Kentuck this weekend and had a fun time! He's the best! Alabama has a big game this weekend, I'm going to see Ron Pope in concert with Cassandra on Friday and I have friends coming into town. Should be a great weekend. Hey y'all! It's Wednesday and I know I usually post on Mondays but I'm going to start posting on Wednesday because it's my current weigh in day and if I'm being honest, I just flat out haven't had time to devote to posting this week. 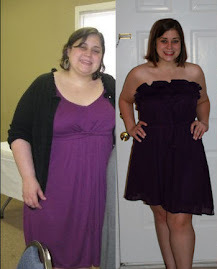 When I weighed this morning, I was miraculously down almost a pound and a half. I mean, I guess it's not that big of a miracle. I exercised a lot last week and stuck to my guns for the most part but my body hasn't been cutting me any breaks lately. I noticed that since I started counting points again in July, I'm down almost 7 pounds. On the one hand, that number should be way higher but I've had a lot of ups and downs. 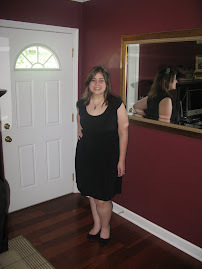 On the other hand, I'm happy with the fact that I haven't gained. I am constantly struggling with how I feel about numbers and my body and so, I'm going to try to be more positive about myself. That number doesn't define me and I'm a successful person. Now, that's how I feel right this second. Five minutes later, I could start picking at the fat on my arms with disgust. I got my MFA in 2009 and since then, I've written a number of poems and essays and even 300 pages last summer based on this blog and I came to realize that all of that could be leading up to a book that talks about food, family and the struggle of loving who we are...I was always thinking that I would need to be "finished" before I could produce something like this but the truth is, we are never and should never be finished products. I am beginning to think that words and suggestions from someone who isn't always a perfect example might be helpful and so that's what I'm working on now. 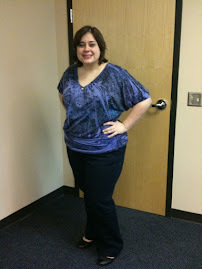 In the meantime, I want to add a little pizzazz to the site and make sure that I have more of a social media presence. I will be creating a Facebook page and probably a Twitter account in hopes to gain followers. If you read this blog regularly, first of all, thank you. Second, please make sure to officially subscribe. It would be a huge favor to me. Then, when I need to recruit you for other social media platforms, I'll let you know. In the meantime, I have a few things for you today. 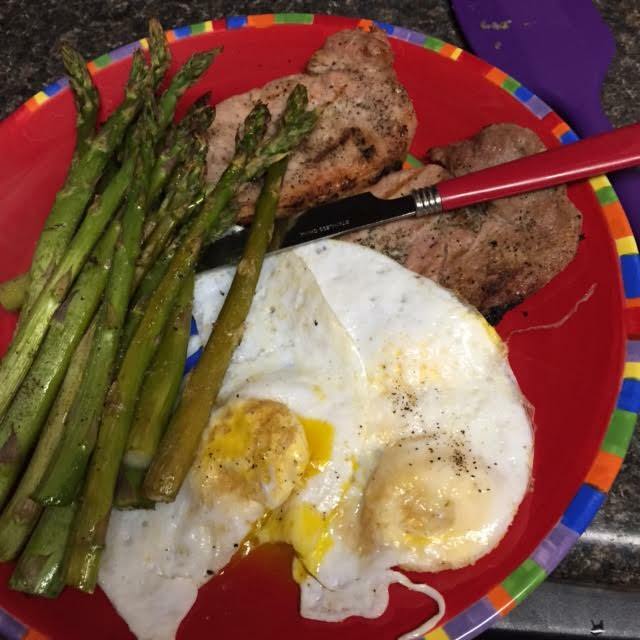 I wanted to give a shout out to my parent's ducks because they have been laying eggs like crazy so I've had the honor of eating a couple of them. Spoiler alert, they taste just like chicken eggs. They are just a little bigger so the calories aren't interchangeable. Because I'm a weirdo, I consider eggs a side dish to pretty much anything so I ate them with pork chops and asparagus. If you have any interest in duck eggs, I think I may know where you can find one. I also wanted to share the giant wedge salad I've been making. There's no recipe, really. 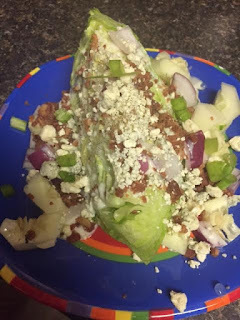 I love a wedge salad so I took the skinny buttermilk ranch I always use and applied it to an iceberg wedge and then added bacon, onions and blue cheese crumbles. 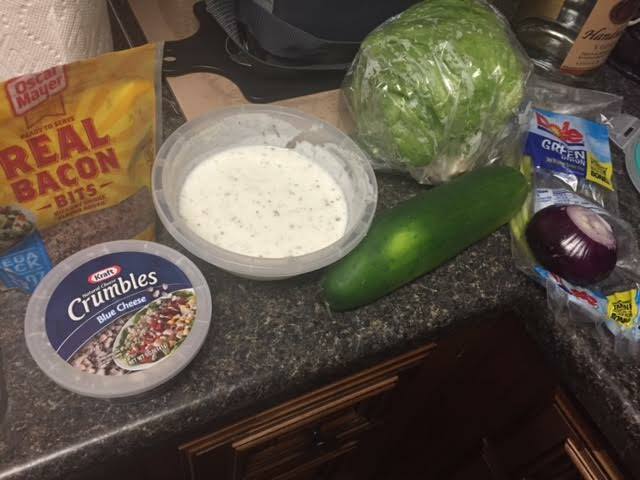 I love doing this because it feels decadent but the dressing is low cal and that's where all the calories typically come from. 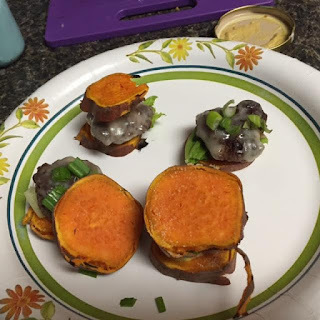 Finally, and I must give a shout out to Ian's sister-in-law Shelly for this idea, I used slices of baked sweet potato as a bun for sliders. 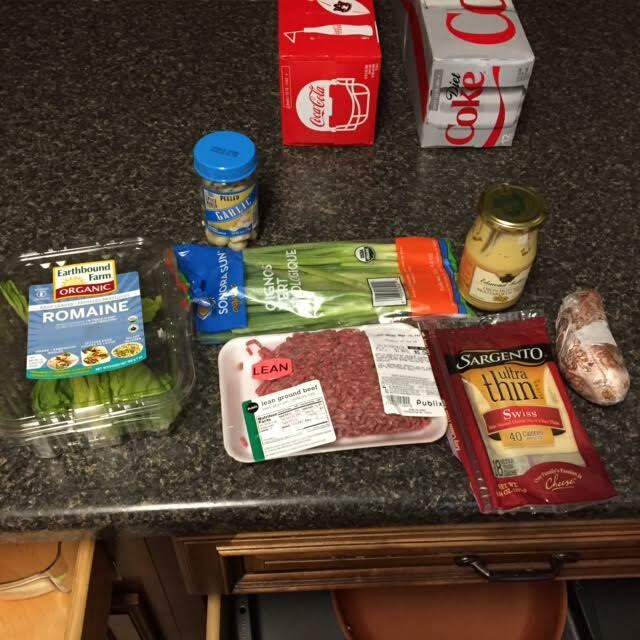 This was super easy and filling. 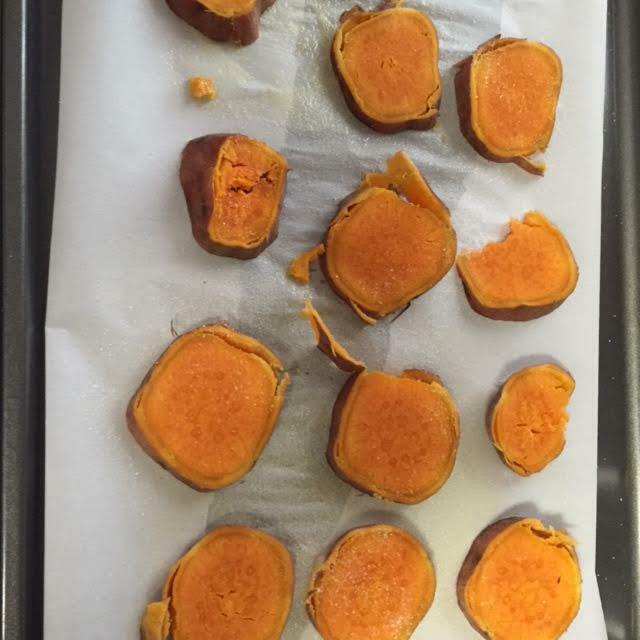 All I did was take one of those sweet potatoes that is ready to stick in the microwave and then I baked it to make it a little more firm. 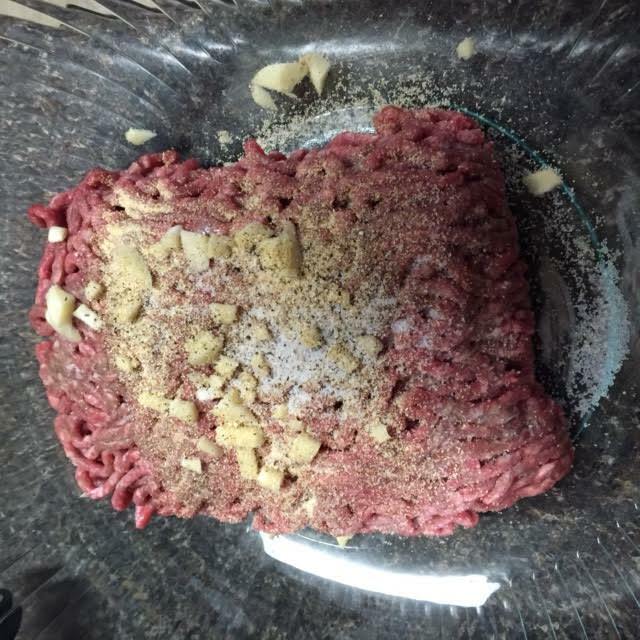 I threw tiny one ounce lean burger patties into a pan and then added some thinly sliced swiss cheese. BAM! A slider is born. I loved these little guys. It's great for when you just need to quench a burger craving. I look forward to working hard and having accountability when it comes to writing and staying strong. Thank you all for your constant support! Hey y'all! I am exhausted this morning because I didn't get much sleep over the weekend and didn't have any down time really. I was super depressed last night because I ate too much over the weekend. When I weighed Wednesday, I was up a few ounces but I wasn't surprised or too bummed. I'm hoping it's not bad when I weigh in a couple days. I'm super defeated right now and I'm tired of being sore all the time, eating how I should most of the time then beating myself up all the time. 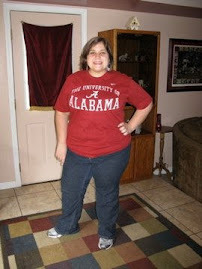 Then the worst part is that I've been steadily gaining weight for 2 years. It's really hard. Today is really hard. I have been going through old posts because I'm working on this book and I realize that I've been whining about this for around 7 years. 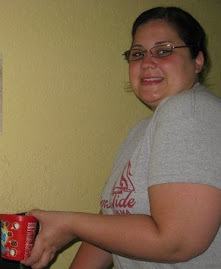 Even when I lost weight I still complained incessantly about the daily struggle and the way I looked. I'm just sitting around waiting on it to get easier. How's that for Monday morning motivation?! The good thing is, I realize my mentality is a problem and it's something I really do try to work on every day and I have a great appreciation for all the wonderful things I have in my life. If I could just figure this one major issue out. 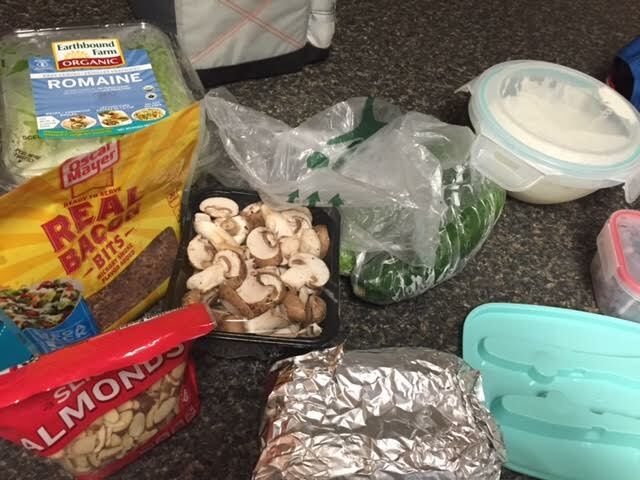 On a lighter note, I wanted to share a couple clutch "go to" recipes I've been using lately. 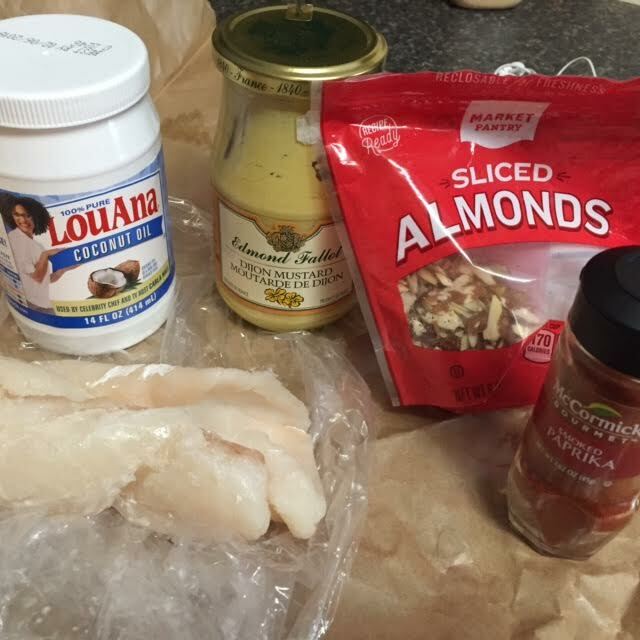 The first isn't really a recipe but it helps me through on my extremely busy Monday and Wednesdays. I was inspired by the pre-made salad kits I've found at Target and other grocery stores. Those are OK but I figured I could make the same thing at home. I found these adorable containers with built in forks at Wal-Mart and I've been using those. 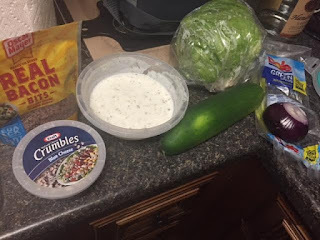 The night before my busy days, I fill them up with veggies and then I also pack the homemade skinny ranch dressing I make and a container that usually has a protein like bacon bits and/or almonds. All I have to do in the morning is grab them from the fridge and I'm ready to go. 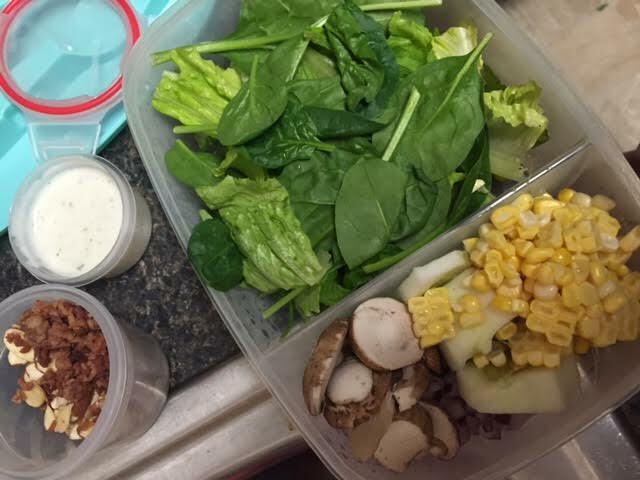 The containers are pretty big so I feel like I'm getting a nice-size salad. 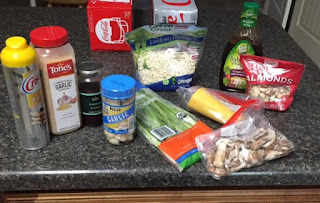 So, cauliflower rice isn't new. I've shown you plenty of recipes with it. 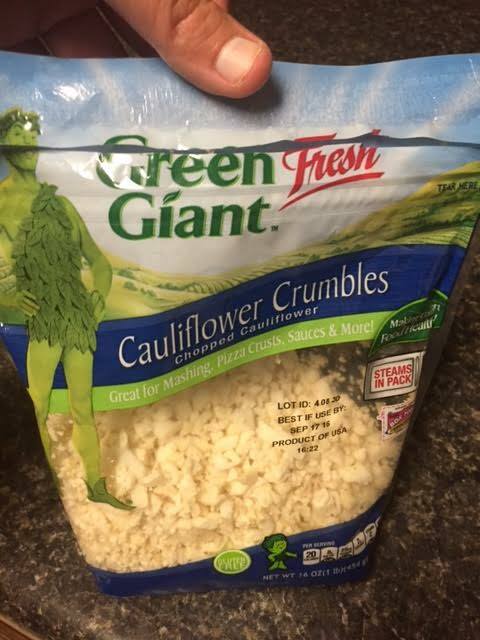 However, what I have found is that Target now carries bags of cauliflower that already come in crumbles. 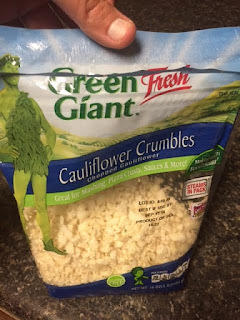 Y'all, this is revolutionary for me because I HATE making cauliflower rice. Now that I have a good food processor, it might not be as bad but I still don't think I'd do it much. 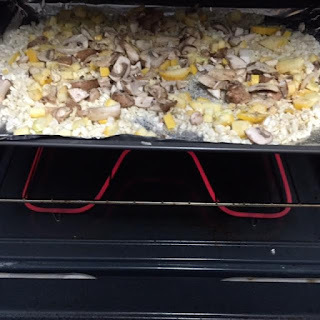 Cauliflower is messy and who has the time to make it in to rice. Now that I can just pick it up in the store, I've been using it a lot again. 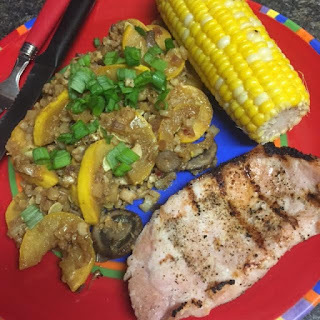 I made "cauliflower rice" as a side to go with my pork chop and then one night I made a cauliflower rice bowl with a Mediterranean vibe. 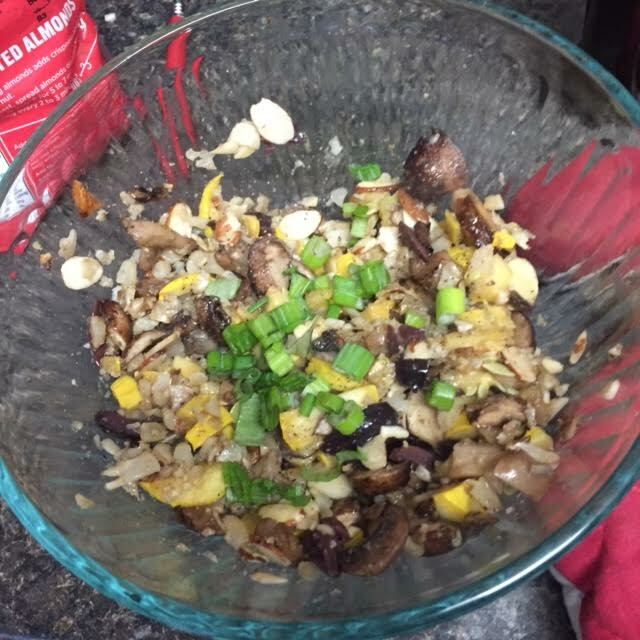 It had Greek olives, almonds, balsamic vinaigrette, mushrooms, squash, garlic and green onion. 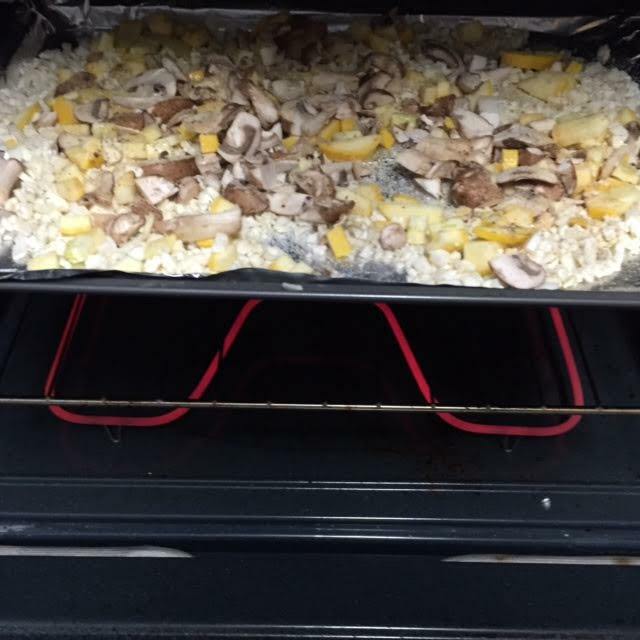 I roasted the fresh veggies for about 15-20 minutes and then tossed it all together with the other ingredients. It was filling and had good flavor. Cauliflower will never be an official replacement for a starch but it's nice to have on deck when you need to get in your vegetables. Alabama has away games the next two weeks so I'm hoping to stay out of trouble and get some actual rest.